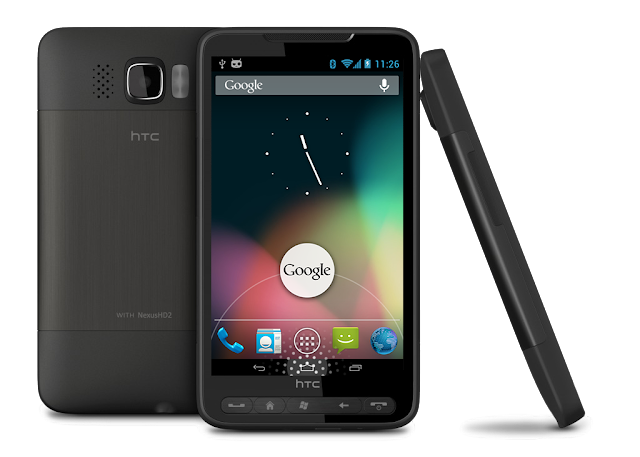 NexusHD2-JellyBean-CM10.2 is a stable and fast JellyBean ROM which is mainly built from the CyanogenMod 10.2 source code for HTC HD2. Include tytung's JellyBean CM10.2 ramdisk (initrd.gz). If you need help with any installation issue, please post it in the Q&A and troubleshooting topic as follows. Q&A and Troubleshooting for "NexusHD2-JellyBean-CM10.2"
Let's leave this development topic for the developers and bug reports. Download initrd.gz_ROM_NAME_[NexusHD2-JellyBean43].zip and merge it with the original ROM before flashing to HD2 for changing NativeSD's ROM_NAME (i.e., installation location) from default NexusHD2-JellyBean to NexusHD2-JellyBean43. I included an old version of YouTube 4.5.17 which works for HD2. Remember to cancel the YouTube auto-update when opening the Google Play Store app. I have already used CM 10.2 three days and it's very fast and stable. Please test this ROM and confirm the working and non-working lists. Is there the baidu download link this time? There is no speed with depositfiles or uploaded. Thanks tytung, I can see this thread becoming very popular soon. Is there a planned a Q&A thread for this ROM (CM10.2)? Robbie P wrote: Thanks tytung, I can see this thread becoming very popular soon. Is there a planned a Q&A thread for this ROM (CM10.2)? No problem. Have created one.